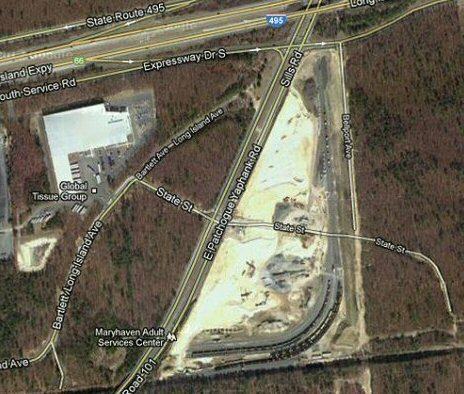 That map is a bit outdated, and has been changed. 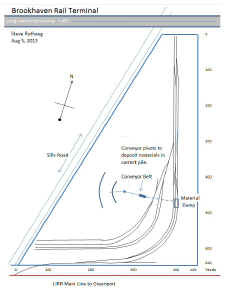 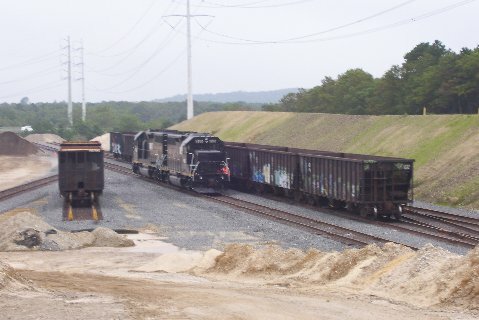 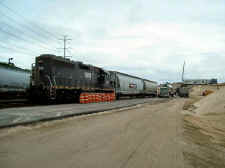 Currently, it's a three-track yard, with two tracks designated for aggregates and the third track as a runner. 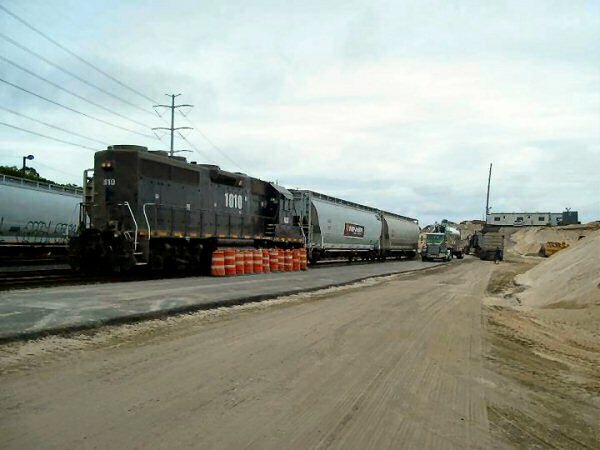 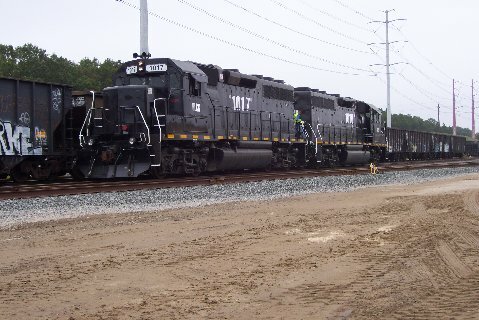 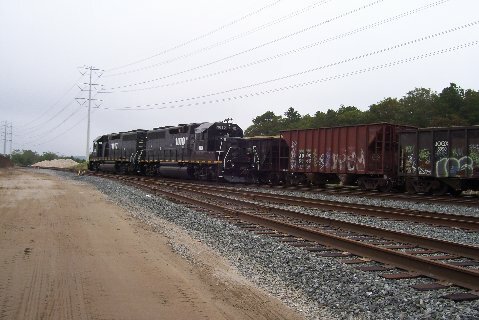 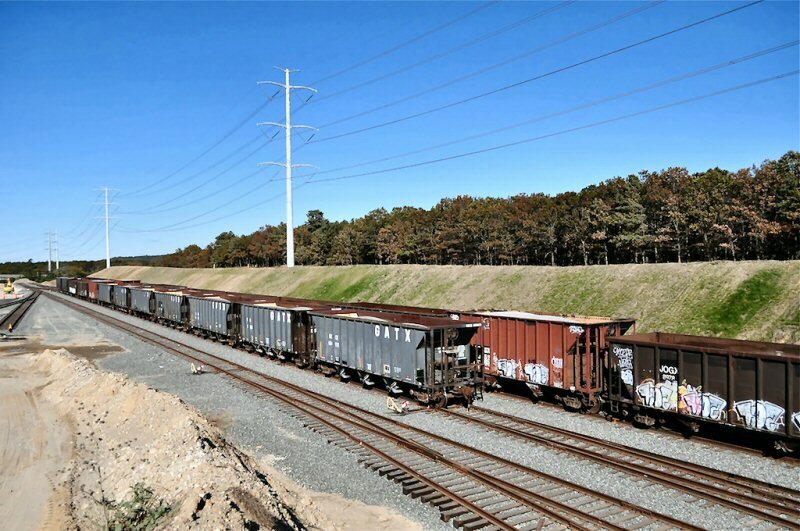 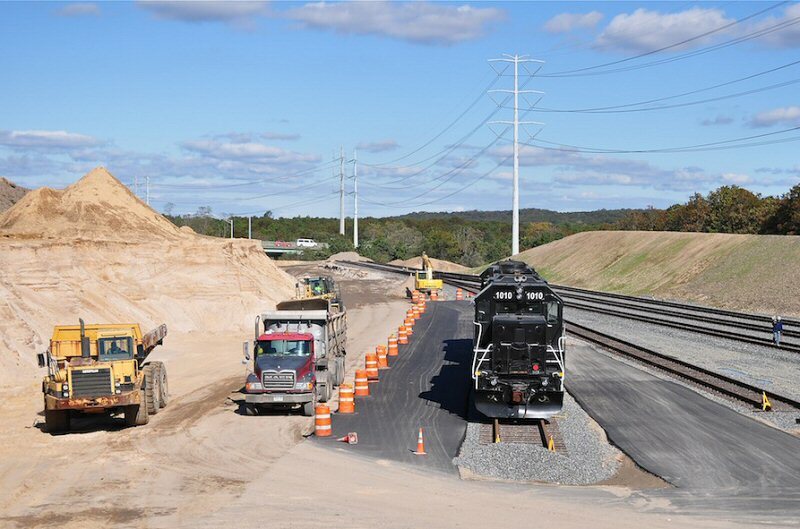 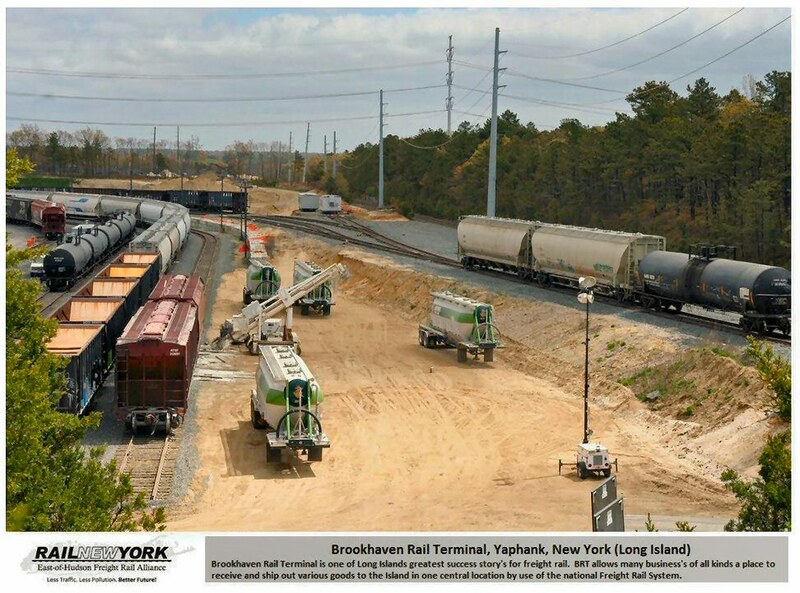 There will be a 4 track team yard that will switch off of the running track, and will wind up being adjacent to the LIRR Main Line Switch and the lead to the yard. 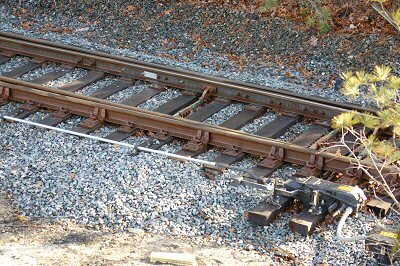 There are also two stub end tracks at the far end of the yard. 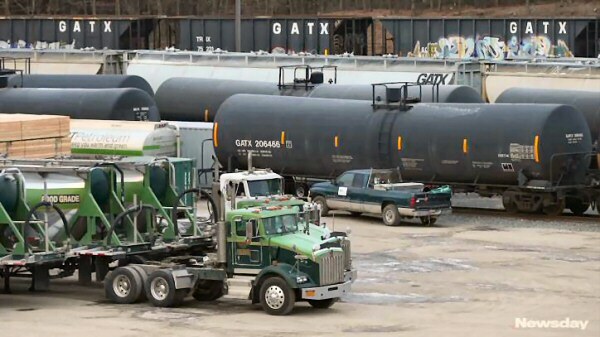 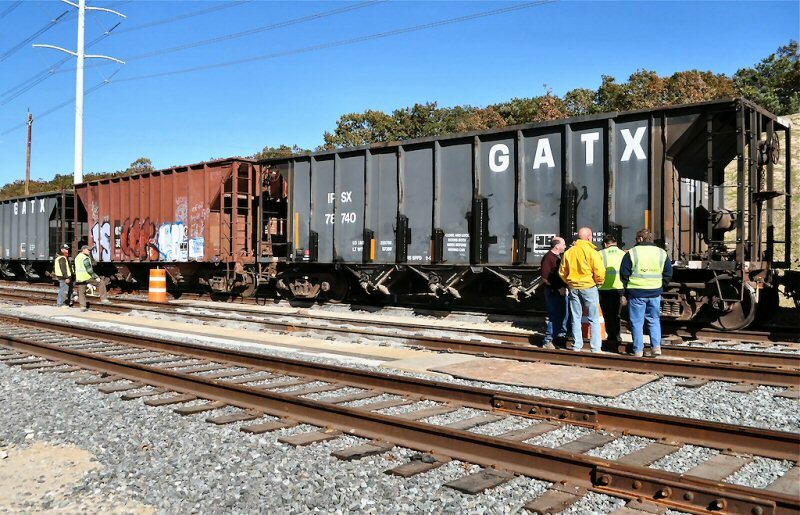 Currently, the only customer that is being serviced is carloads of stone. 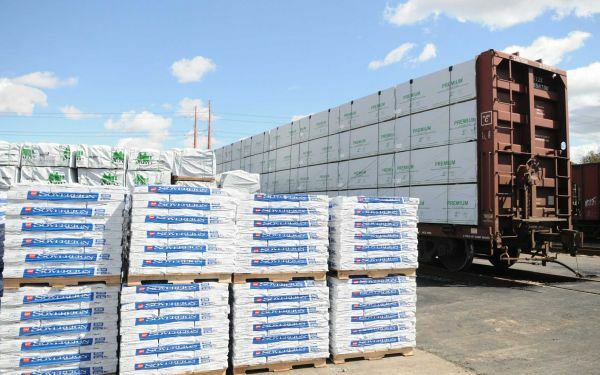 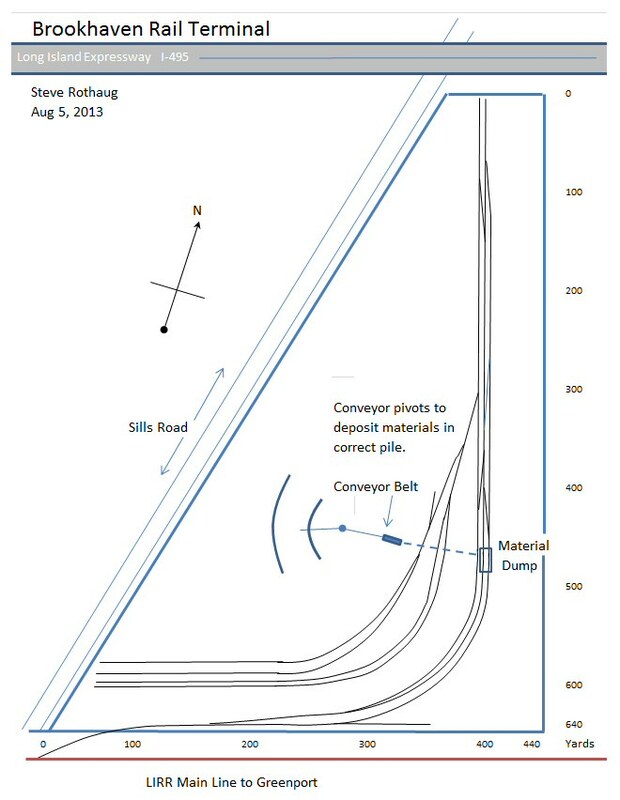 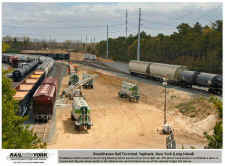 There soon will be carloads of flour and biodiesel and more will be able to be handled once the team yard trackage is constructed. 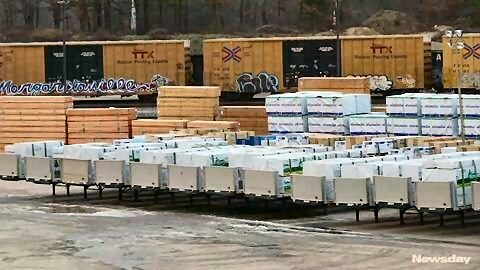 This phase will begin next week. 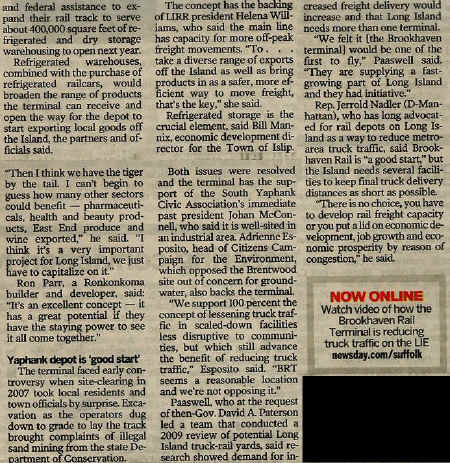 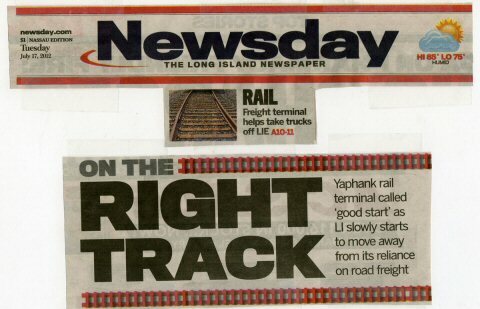 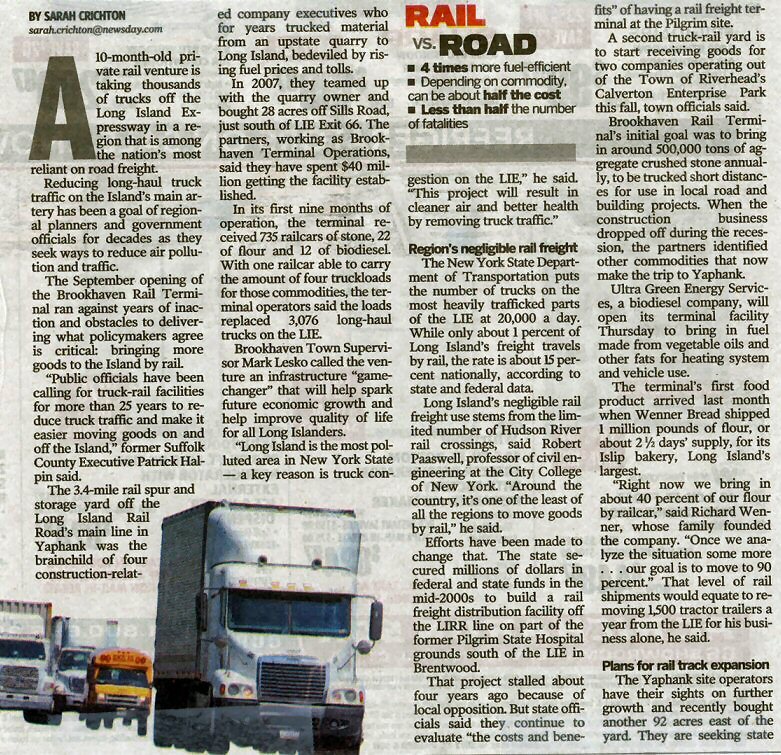 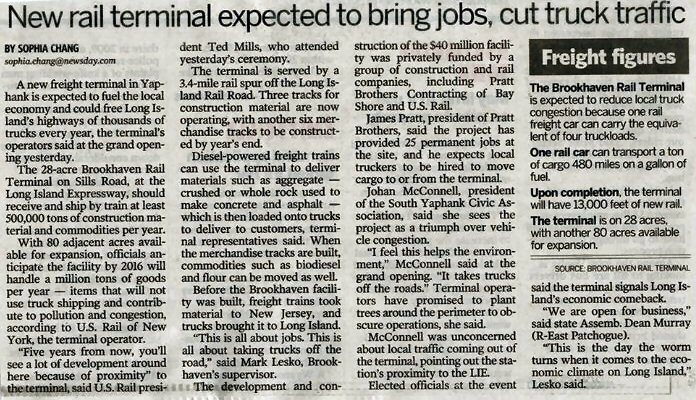 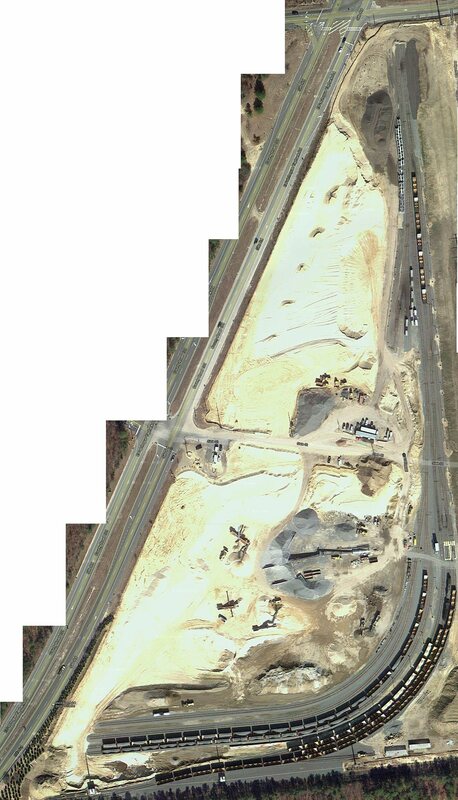 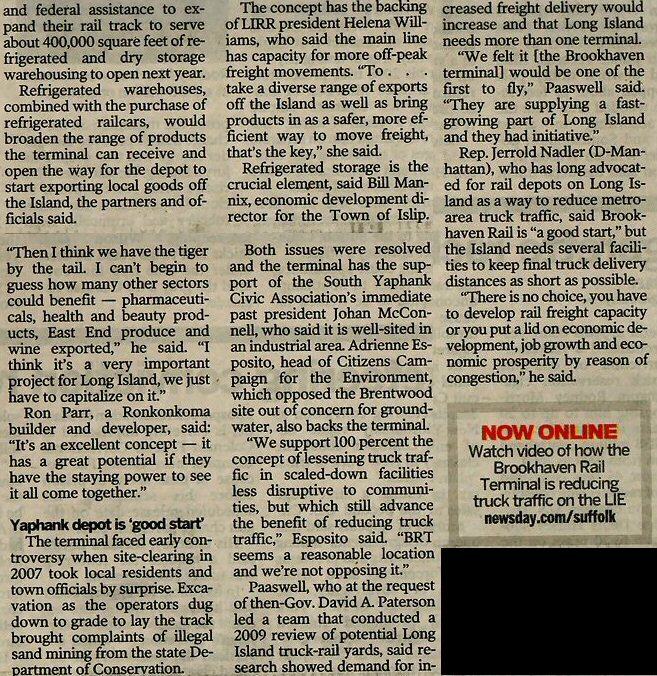 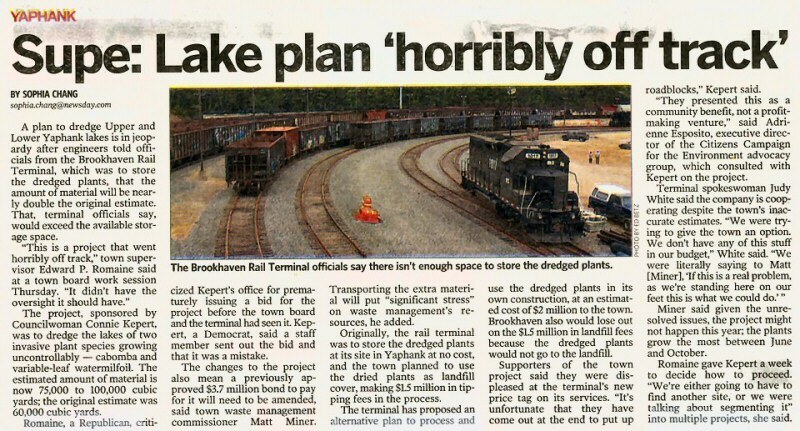 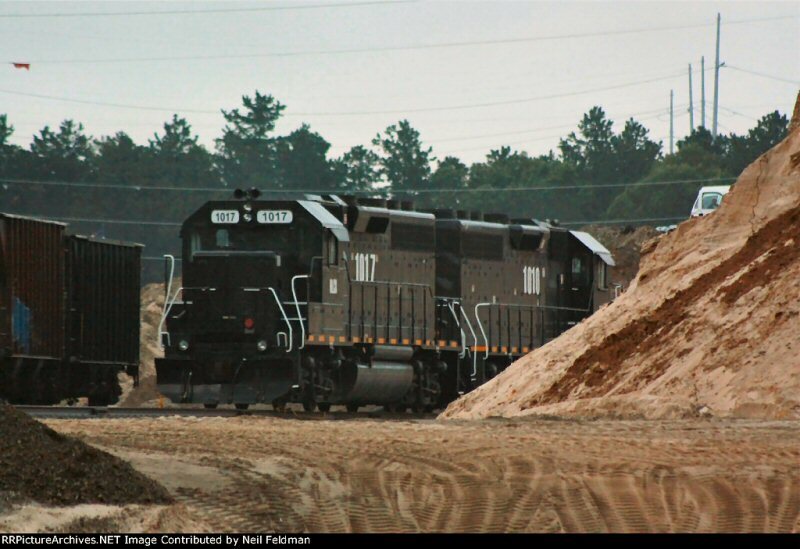 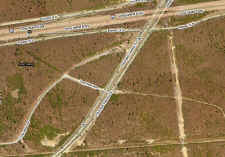 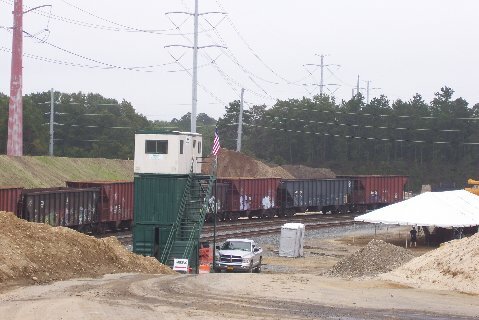 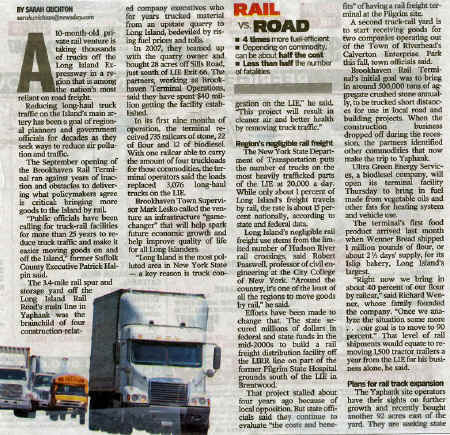 "New rail terminal expected to bring jobs, cut truck traffic"
Brookhaven Terminal view N Tuesday 9/27/11 opening day. Long Island Expressway (Rt 495) in background.